Sponsoring a child costs £25 a month. This covers food, clothing, school fees and health care costs. You can sponsor a child individually, or join together with friends to change the lives of these children. You can use our donation page, through Mission Direct, to set up a regular standing order (put the name of the child you wish to sponsor in the "comments" box) for £25 per month (remember to click on the "regular amount" tab), Alternatively, you can email us for a PDF sponsorship form that you can fill in electronically. If you want to join together with friends to cover the cost of sponsoring a child, please contact us and we will set this up for you. 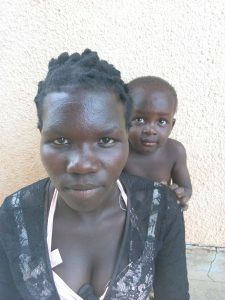 Sarah is 19 years old, her son Philmon is 2 years old and she is currently pregnant. Sarah has had a very difficult couple of years. Up until a couple of months ago she was taken in by a distant family member who went on to abandon her. She has a large family with 6 sisters and 1 brother whom she doesn't know of their whereabouts at the moment. Her father divorced her mother and sold all their land to go and live with another woman. When the father left the family was left with nothing and the mother struggled to live then ran away from them all due to the circumstances for many years she hasn't seen any of her her family members so wouldn't recognise them. This is how Sarah ended up homeless. Sarah contracted HIV from Philmons father who was a drug addict and after getting pregnant again she had to leave him due to his addiction. Recently Philimon has been diagnosed with HIV through Birth. 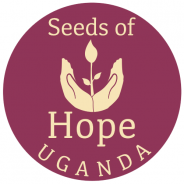 Your sponsorship will provide him with meals every day, the correct nutrition and medication for his HIV and when he turns three soon it will provide for his Nursery education.